“Yi Yun don’t be so arrogant.” Tao Yunxiao’s expression was ferocious. He had gone mad with anger! The surrounding people of the Tao tribal clan also felt the same. This kid Yi Yun was too arrogant. He completely looked down on Tao Yunxiao. Tao Yunxiao had made his last challenge. Even if you didn’t want to accept it, at least answer. What’s the meaning of closing your eyes? But at the same time, there were girls from the Tao tribal clan that began to see Yi Yun sparkle with stars. These girls’ faces were flushed red. “Yi Yun is so cool!” A girl subconsciously said out loud. “Ah! you think the same way? Me too!” said a blushing fourteen year old girl beside her. Tao Yunxiao was very strong, but in front of Yi Yun, he was nothing. Yi Yun did not even touch Tao Yunxiao, and Tao Yunxiao was bleeding from his nose. This gap was too big. If Yi Yun had touched Tao Yunxiao, Tao Yunxiao would have peed in his pants. Girls worshipped heroes, especially a young hero who was the same age as them. The two girls began to excitedly discuss after having found their soulmate. This scene happened in a crowd with many young girls. They had turned into fervent fans of Yi Yun. “You are bullying others to the extreme!” Tao Yunxiao was like a wild ox as he took in huge gasps of breaths. He had goaded Yi Yun into accepting his. .h.i.t, but Yi Yun did not respond and didn’t even open his eyes. It was as if he wasn’t here for a compet.i.tion, but he was only here to sleep. To Tao Yunxiao, this was showing him disrespect. Tao Yunxiao was outraged. He touched the blood on his nose and wiped it on the female-sword. Following that, he used the female sword to slit his wrists. Fresh blood gurgled out and was absorbed by the female sword. This scene made the Tao tribal clan’s elders worried. “Yunxiao, have you gone insane! ?” Tao Yunxiao’s father could tell that his son was likely to lose the battle. But this time, Tao Yunxiao used even more of his body’s blood for a desperate last chance. This action was extremely irrational. Tao Yunxiao activated the ancestral artifact’s forbidden energy. Because he had overdrafted his blood, Tao Yunxiao’s face turned pale and bloodless. He not only sliced his left wrist, he even sliced his right wrist. More and more blood flowed, while Tao Yunxiao’s face grew whiter. Back at the platform, the tribal elders and Tao Yunxiao’s father were shocked. This was too big a price to pay. Because of this battle, Tao Yunxiao’s cultivation will have an inevitable decline. It would waste at least a year’s effort. Tao Yunxiao could feel the female sword in his hand begin to make sounds. He had used all his body’s energy to merge as one with the female sword. A vein bulged out from Tao Yunxiao’s forehead like an earthworm. He had catalyzed all his potential energy to the maximum. His body began to emit a blood-red light. “Hum Hum Hum Hum” The female sword began to make sounds intensely. It was like thousands of ferocious ghosts wailing from the sword. The surrounding Heaven Earth Yuan Qi was gathering, forming a black whirlwind in the arena. The black whirlpool got faster and faster, condensing to the point of solidity. It enveloped Yi Yun and Tao Yunxiao. When the Tao tribal clan received the pair of male-female swords, they had received a sword manual which consisted of many moves and ‘runes imprisonment’ was one of them. By using the energy induced by the male-female swords, one could trap an opponent within a prison, preventing the opponent from escaping. It forced the opponent to meet and take on the swordsman’s attack directly. By using Rune Imprisonment, it would restrict Yi Yun’s movements, making it an extremely appropriate move. But Rune Imprisonment consumed a lot of energy, so it was considered as a high level move. Hence the tribal elders felt that with Tao Yunxiao’s cultivation level, it would be difficult for him to use it. Forced by Yi Yun, Tao Yunxiao had used his ultimate power. But this ultimate power was obtained through over drafting his blood to feed the female sword. It was not everlasting. Once his blood ran dry, Tao Yunxiao would revert to normal, and would even be seriously injured. It would take a long time for him to recover. The breakthrough he did at his limits would also cease to exist. This was the difference between learning through shortcuts and the main path. “It’s already tough on Yunxiao to use Rune Imprisonment, if he were to make another attack&h.e.l.lip;” Tao Yunxiao’s father’s eyes were filled with worry. Tao Yunxiao had pushed himself to his absolute limits. The black wind grew stronger and enveloped Yi Yun. 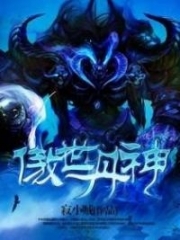 The strong wind nearly tore apart his clothes, and there were even times when a ghostly claw would materialize on Yi Yun’s body, grabbing his ankles. This was the effect of the Rune Imprisonment. The crowd was surprised. This ghostly claw was their final glimpse of a possible reversal in this shocking battle. Tao Yunxiao, who had been suppressed, finally had the upper hand. Tao Yunxiao’s eyes were bloodshot, and his face flashed a sickly red. He had injected all his body’s remaining energy into the female sword. The female sword sounded out, and a dark red glow shined brightly from the sword. “It’s a fighting technique!” Someone from the Tao tribal clan shouted. Fighting techniques were different from cultivation techniques. Cultivation techniques were used to train the body, allowing a warrior to breakthrough. But a fighting technique were used to kill. It was specialized, in terms of lethal power, as cultivation techniques could not hold up against fighting techniques. And good fighting techniques would be primed and powered by Heaven Earth Yuan Qi. Similarly, the fighting technique used by Tao Yunxiao had Heaven Earth power within it to kill the enemy. “Using Rune Imprisonment to restrict Yi Yun, then using a fighting technique exclusive to the ancestral artifact to attack Yi Yun,” the Tao tribal clan warrior’s eyes lit up. As long as Yi Yun lost the use of his bizarre movement technique, then Tao Yunxiao had a chance of winning. Wind rose in all directions while the female sword flashed dark red light. Suddenly, Tao Yunxiao moved. The female sword’s light beam began to converge into single red line with the thickness of a finger. It was like a swimming snake was flying towards Yi Yun. Tao Yunxiao pushed himself to the limits of his potential by using both Rune Imprisonment and Blood Red h.e.l.l. These were fighting techniques tailored for the female sword, using the evil powers of the female sword to do battle. This attack exceeded the limits a Mortal Blood warrior in the vast wilderness would have. All the Mortal Blood realm warriors only practiced the “Dragon Rib Tiger Bone Fist”, so this fancy attack showed them a brand new world. Moves could both be fancy and effectual. Although they were far, the people could feel the bloodthirst and ferocity of the red snake. They felt cold in their chests and their brows went numb. It was as if that red snake was attacking them. Such a fearsome move was indeed from a thousand year old Tao tribal clan. That ancestral artifact possessed a lot of power. The people even suspected that an early stage Purple Blood warrior might not be able to withstand this Blood Red h.e.l.l attack. By by only practicing ‘Dragon Rib Tiger Bone Fist’, how could they withstand such an evil fighting technique with their bare hands? The people stared at Yi Yun. They knew that Yi Yun also practiced ‘Dragon Rib Tiger Bone Fist’, and with just that cultivation technique, how could he resist against a sword with his bare hands? With death impending, Yi Yun suddenly opened his eyes! He felt the extremely great “aura” from Tao Yunxiao. This Blood Red attack was extraordinary. But Yi Yun did not show any fear. Against the sword, he condensed his breath to the limit. The Purple Crystal Origins within his heart began to pulsate; the pure energy within began to feed Yi Yun’s body. Yi Yun’s joints rang, and his tendons roared. He punched with the same old Dragon Rib Tiger Bone Fist. This punch was the first time he used his entire strength in front of the audience in the Kingdom’s selection. After Yi Yun broken through to the peak of the Qi Gatherer realm, this punch was the most incisive. At the moment Yi Yun charged forward, a tiger and dragon phantom image formed behind him. It wasn’t an azure dragon and white tiger as expected, but a purple-gold dragon and a Divine Heaven Tiger. The tiger and dragon flew with the red setting sun as a backdrop. On the platform, the Tao tribal clan’s grand elder had the greatest reaction. He directly stood up and as a result of his reaction, the table underneath his hand was crushed with the pressure of his single hand. Manifestation of Yuan Qi was to coalesce Yuan Qi into a phantom image, and used with an attack move. This could only be used by the best of the Purple Blood warriors. How could this appear on Yi Yun? Did he have a Tempered Body? 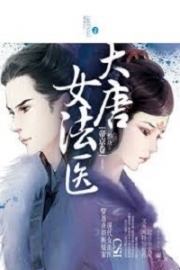 This thought jolted the Tao tribal clan’s grand elder mind, and Yi Yun had already collided with Tao Yunxiao. The dragon-tiger phantom against the red snake from h.e.l.l. The arena exploded with debris flying everywhere. The energy from Yi Yun and Tao Yunxiao blasted out. Yi Yun’s shirt was dyed red with blood. His right fist was mangled, with a deep wound right to the bone. But Yi Yun landed by taking ten steps back. As for Tao Yunxiao, he directly flew out of the arena and fell heavily on the ground. His face was pale, his lips were quivering, and blood was gushing out from his nose. 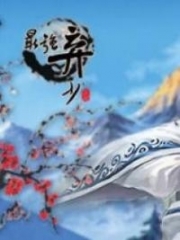 You're Read True Martial World Chapter 120 - Defeating Tao Yunxiao online at NovelOnlineFull.com. You can use the follow function to bookmark your favorite novel ( Only for registered users ). If you find any errors ( can't read,broken links, can't load photos, etc.. ), Please let us know so we can fix it as soon as possible. And when you start a conversation or debate about a certain topic with other people, please do not offend them just because you don't like their opinions. 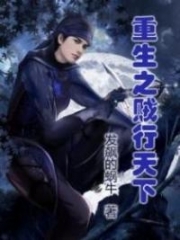 You're reading True Martial World. This manga has been translated by Updating. Author(s): Cocooned Cow,蚕茧里的牛. Already has 9922 views. Current Time is 22-Apr-2019 13:01:25 PM.